Wireless chargers, in general, offer limited convenience. Yes, it's nice to be able to simply plop your iPhone or Android smartphone on a pad and have it charge, but all you're really saving is the time it takes to plug in your phone. There are, howver, some great use cases for the technology, such as charging your smartphone in your car or when you're on the go at airports and cafés. And a wireless charger does mean you won't be wearing out a cable by plugging and unplugging it from your smartphone. Now, take the wireless charging concept and combine it with a portable, battery power bank, and you've got something truly mobile. That's one of latest innovations from inductive wireless charging – battery packs that can be used on the go to wirelessly charge your smartphone. 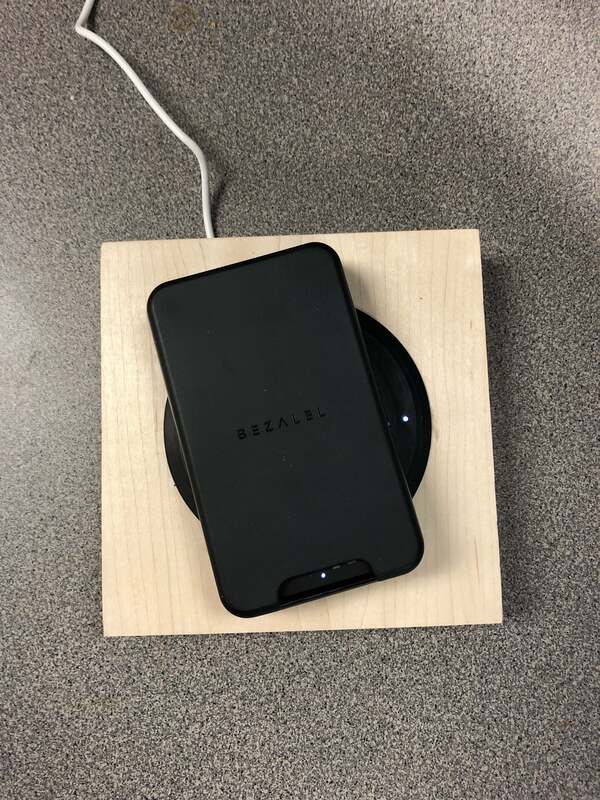 Bezalel's Prelude wireless charger is about the size of a deck of cards, weighs 5.6 ounces and has a nano-suction pad that securely sticks to the smooth, rear surface of a smartphone while leaving behind no residue. You can also purchase one of Bezalel's glossy Latitude iPhone cases ($25), to which the nano-suction pad also sticks. The iPhone case is magnetized to guide your phone to the optimal spot on any charging pad. 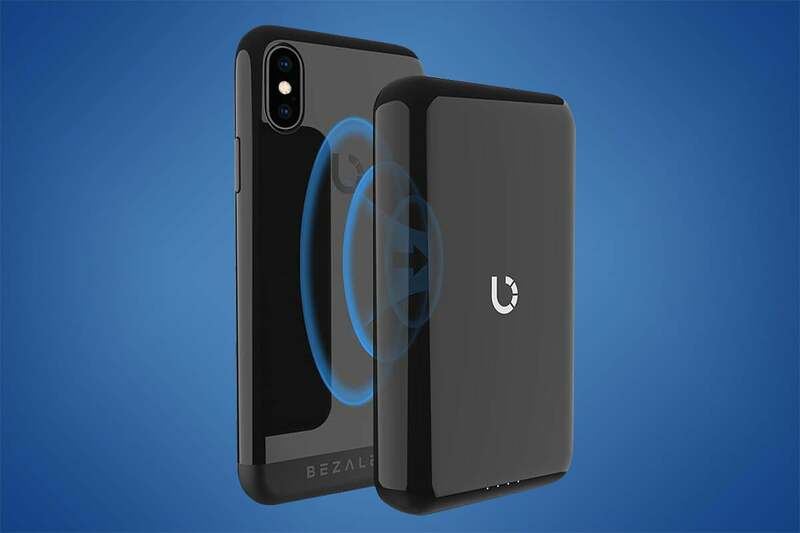 Bezalel is marketing its wireless charger to active users who are into gaming, watching videos or other activities that eat up gobs of battery power. The concept is great, but the execution could have been a little better. More on that later. First, this is a great looking wireless charger. It has a black, glossy finish and no buttons; to activate it, you shake it a couple of times and a Bezalel icon on the front of the charger illuminates to let you know it's ready to charge any Qi-enabled smartphone. To use the Prelude, you just need to rest the glossy back of your smartphone on the Prelude's nano-suction pad to create a secure bond and voilà, you've got on-the-go wireless charging. You can also use a smartphone with a non-glossy case, but it won't stick to the charger; you'll just be resting your smartphone on it and won't be able to carry it around. So, what's the advantage over other battery power banks? Simply put, no cables. And you pay a price premium for that. The Prelude retails for $70. By comparison, RAVpower's Power Bank wireless charger retails for $50, but you can find it on Amazon.com for $36. The trade-off, as noted, is that the RAVPower only does 5W charging, doesn't have the suction pad and can't be wirelessly recharged. The Prelude charger certainly looks and feels like a quality product. The battery pack itself can be charged through either the supplied USB Type-A to Type-C cable or by placing it on another Qi-enabled wireless charger. (That's a cool attribute – a battery-based wireless charger being charged by another wireless charger). Four LED lights on the back of the Prelude indicate the level to which it's charged. After fully charging the Prelude, I gave it a first try. I drained my iPhone 8 to 90% and stuck the wireless charger to it; the phone immediately indicated it had begun to charge. But, a funny thing happened on the way to 100%; it never got there. After 30 minutes, my iPhone's battery had gone from 90% to 95%, but simply wouldn't go further. Next, I drained my iPhone down to a random 66% and again attached the Prelude. This time it took 55 minutes to get to 95% charged. One again, however, it stopped there and would go no further. In order to compare the Prelude wireless charger's speed to a traditional wireless charger that plugs into an electrical socket, I chose Belkin's BOOST↑UP Wireless Charging Spot, which also offers up to 10W of current and uses the Qi-charging standard. 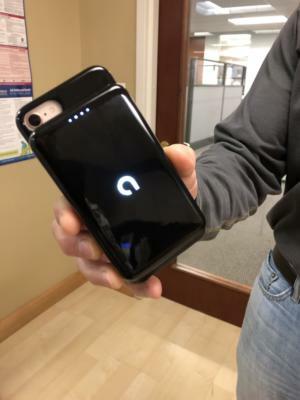 Compared to other portable wireless chargers, Bezalel's Prelude offers a mix of useful features, such as 10W fast charging, a nano-suction pad that attaches to your smartphone, and the able to recharge wirelessly. I believe it's at the top of its small universe of mobile wireless chargers. As far as usefulness..., I did take this little thing skiing with me and it was pretty handy; I simply attached it to my iPhone, stuck it in my jacket pocket, and my phone remained charged-up throughout my time on the slopes. I was able to pull it out to take videos and photos without having to detach the battery pack, and that's a cut above what other portable charging banks that require you to plug your phone in offer. If you like wireless charging, and don't like wires, I can recommend the Prelude. While it may, or may not, recharge your smartphone to the 100% level, it got my iPhone to 95% and held it there. For most users, that's probably just fine.